Truth in Tunes returns after a long hiatus to bring you a breath of fresh air in the world of worship music. This post doesn’t reflect my freedom to write again as much as it reflects the unstoppable drive of the music and truths that simply need to be proclaimed. Enter Dustin Kensrue. Do you ever feel that the vast sea of current worship music has become creatively stagnant and theologically watered down? So does Kensrue. Dustin, who I have blogged about before, is worship pastor at Mars Hill Church in Bellevue and frontman for the rock group Thrice. 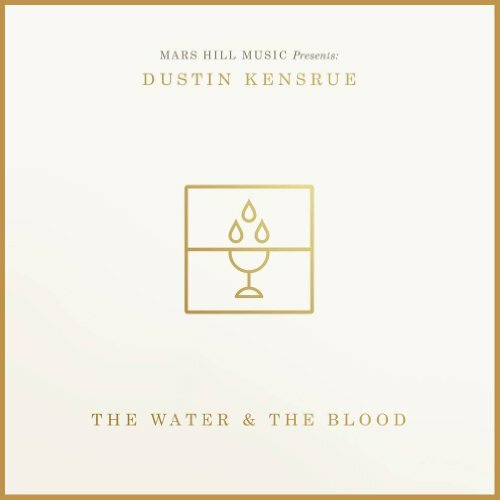 Last year, Kensrue released a new album of songs called “The Water and The Blood” intending to give the body of Christ an injection of lyrically rich and musically fresh tunes. When I saw that he was doing a worship album I was skeptical because of today’s climate of praise songs: a massive machine manufacturing lollipop versions of half truths that feel sweet and warm, but hardly ever enrich the soul or challenge the mind. The exceptions to this standard are very hard to find, sometimes. “Kensrue laments the fact that most worship music seems to have fallen into a creative rut and has no engagement with the surrounding culture. ‘Our God creates with excellence, and we should as well,’ he explains. Beyond taking issue with the musical monotony, he also has strong feelings about the lyrical content of many popular worship tunes. ‘Growing up and going to church, I felt despair while singing. No matter how flowery or nicely it was stated, the majority of worship songs were essentially just a big dose of Law, of what I needed to do for God. Without first soaking in the good news that Jesus has done it all, that ‘It is Finished’ in him, the Law is condemning because we simply can’t fulfill it.’ These worship songs, creatively stale and theologically lopsided, spurred in Kensrue the desire to write better songs for the church to sing. The entire album accomplishes this focus on the sufficiency of Jesus in such a potent way and I recommend every single song on it. I highly recommend that each reader at least listen to “Suffering Servant” as a prime example (I hope to blog about it at Easter) But for now, let us focus on our selection for today: “It’s Not Enough”. I’m such a sucker for songs with dramatic crescendo movements and lyrics with tons of absolute statements. Jesus can be sung about in so many different ways: a quiet, intimate lullaby about His companionship; a loud, triumphant anthem declaring His victory; or a rock ballad offering Him as our rescuer. Well, how about a song that finds every way to say that Jesus is simply everything that we need! This truth is the implication to Dustin’s pronouncement that all other pursuits, even when fully realized, are not enough to quench the thirst of our soul for meaning and significance. The Gospel is not a call to love and justice. The Gospel is not an inspiration to become a better spouse, parent or person. The Gospel is not a contract with God to make it into Heaven. The Gospel is not even a relationship with God that was restricted from us because of our sin. The Gospel is first and foremost news. Good news. What I mean to say is that the Gospel is primarily the arrival of Jesus Christ. And His arrival, both in flesh and in connecting with us on the cross, marks the key moment in human history when the human soul was no longer alone. Of course, the Gospel leads to that list of things mentioned above, but before we race ahead to manifestations and effects, let us first consider what the human soul needs and what Jesus exquisitely did for us at Calgary. But as for me, how good it is to be near God! “In the beginning the Word already existed. These Scriptures emphasize that real satisfaction in life can only come from being near to God; AND that the nearness of God can only be accomplished by God in Christ coming near to us. This is the Gospel. Yes, of course, the Gospel leads us to other fruitful, righteous realities such as redemption, spiritual maturity, a calling to moral values and human justice, and so on. However, the Gospel begins and ends with satisfying a holy God and satisfying a hungry, empty soul that can only be filled with Jesus – and it accomplishes this contentment all in one glorious act. The message of the Gospel is that you do not have to be alone and your soul does not have to stay empty, lost and unfulfilled. Then, out of that connection and satisfaction in Christ comes the rest of the Christian life. Dustin Kensrue’s song provides a poetic lament that every single human being feels, whether they admit it or not. Sometimes it takes a while for life to show us our own dissatisfaction, but it always does – sooner or later. We don’t always feel the blood in our shoes even though it is indeed flowing as we keep trying to walk the whole world in search of God knows what.